Kia ora and haere mai, welcome to the fifteenth instalment of 9mm for 2018, and the 187th overall edition of our long-running author interview series! Today I'm very pleased to welcome Clare Donoghue to Crime Watch. Like me, Clare is a former city lawyer who escaped the legal treadmill to become a writer (in my case, journalism rather than books). So from one treadmill to another. 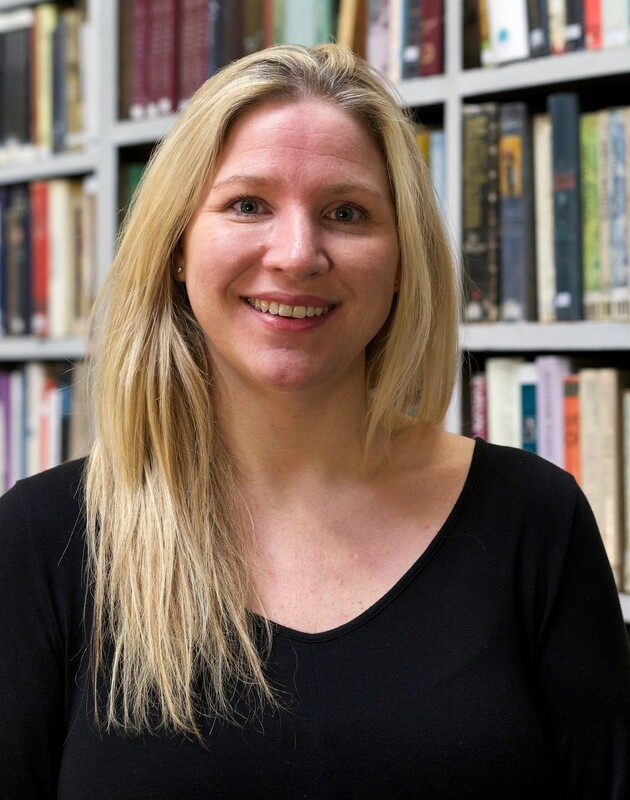 After a ten-year London stint, she returned to her hometown in Somerset and took an MA in Creative Writing from Bath Spa University. The result was her first manuscript, which got longlisted for the CWA Debut Dagger in 2011 and later became her debut novel NEVER LOOK BACK. Four further crime novels have followed. I met Clare at Crimefest a couple of years ago, and had been meaning to interview her for a while, so I'm glad we've got this done now. 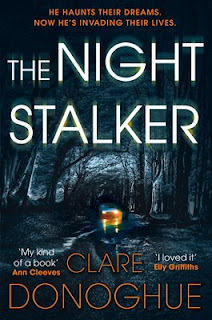 Her latest novel is THE NIGHT STALKER, and you can read more about how a local Somerset legend inspired that book in this piece Clare wrote last August. But for now, Clare Donoghue becomes the latest crime scribe to stare down the barrel of 9mm. Oooo I have a few but if your twist my arm I'd say, Will Trent, Karin Slaughter would be one. I can't tell you why, as it'd be a spoiler for others but Will is one of the few fictional characters who has ever made me cry!! My female hero would be Rizzoli from the marvellous Tess Gerritsen. She's such a strong, capable, and diverse character, I love her... and possibly want to be her! The very first book that 'took' me was MATILDA by Roald Dahl. I got in from the library when I was ten and remember reading it on my bed, unable to put in down. I refused to go down for dinner. I just had to know what happened next. When I found out I was getting published I celebrated by buying myself a limited edition Quentin Blake print of MATILDA and the world of books she brought me into. Nothing really. I had always been an average English student so it had never entered my mind I could write - that someone like me could write. I only started because another book had such an impact on me (Mo Hayder's PIG ISLAND) But once I started writing I knew it was something I wanted to do, I just didn't know if I was capable so I undertook an MA in creative writing and my debut novel, NEVER LOOK BACK was the result! Talk about lucky!! I have a toddler so I love, or am required to love, the park, the beach, trampoline parks, Disney (I do love Disney!) and all things child-friendly. Outside of work my family and friends are everything, so if I'm not writing I'm with them. I'm sure it'd be on the list but make the trip to Hestercombe House & Gardens. It's a beautiful place and means a lot to me and my family... the cakes aren't bad either. People say all the time that I'm a combination of Bridget Jones and almost every romantic role Kate Winslet has played so I reckon her or Renee would be a safe bet. 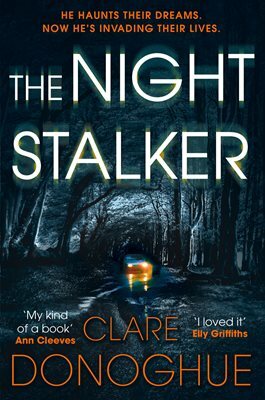 The most recent, THE NIGHT STALKER is my favourite, probably because my editor let me move my SE London detective series to the South West, where I live. Not only was it a joy to research but writing about where I grew up and touring around all the local groups with a book showcasing my area means the world to me. Champagne was the 'initial reaction' for me, not to mention my parents as I'd moved home to study at the age of 35 and the deal meant I would be moving out again! It was a huge surprise and I think the first year went by in a blur as a result. I've had many... many, many, many! But the most recent, which was amazing, was at a talk I was giving for 93 ladies at an Inner Wheel luncheon. I was sat at a table with some lovely ladies and got chatting to the woman next to me when I spotted her name badge. I stopped and told her that in THE NIGHT STALKER (the book I was there to speak about), there was a real historical figure, Jane Shorney who had come to a sticky end some 200 years ago and that her murder was the inspiration behind my novel. It turned out, the lady I sat next to, quite by chance, just so happened to be a direct descendant!! What are the chances?!?!? You can follow Clare Donoghue on Twitter and find out more about her books on her Facebook author page.